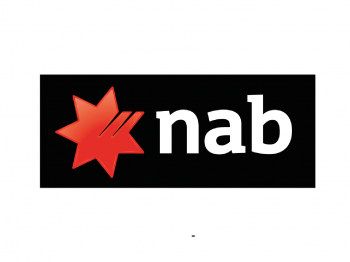 NAB is a major commercial bank with more than 35,000 employees serving 10 million customers at over 800 locations in Australia, New Zealand and around the world. Our future financial success depends upon the health and prosperity of the communities we live in. At the same time, the challenges we face as a society have never been so visible or pressing including rising social and economic inequality, climate change and biodiversity loss and eco-system degradation. The scale and complexity of these challenges means that no single sector can address these issues alone. Together with government and the social sector, business now more than ever has a powerful and critical role to play in tackling these challenges. To do this we need to think differently and partner with others to come up with new business and funding solutions to address social and environmental problems. Shared value plays an important role in realising our brand promise, “more than money”, and our vision to be the most respected bank in Australia and New Zealand. Achieving this vision putting our customers at the heart of everything we do. 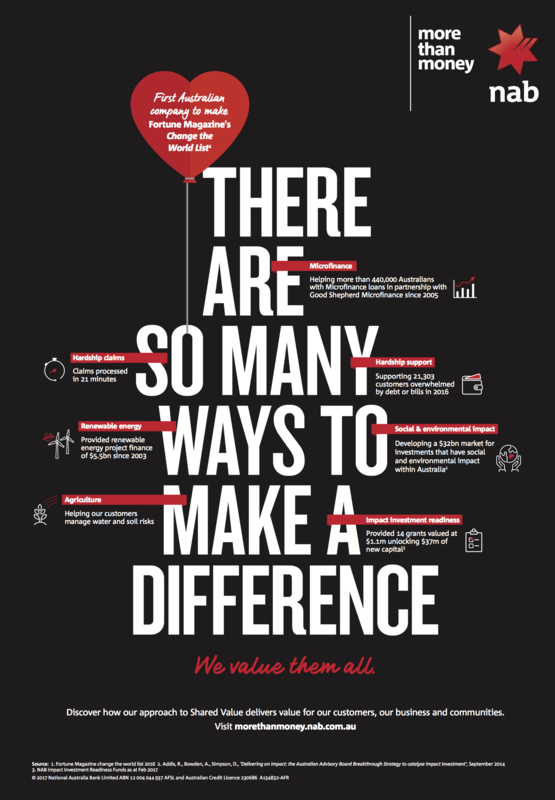 This has involved adopting a shared value approach to completely rethink parts of our business, through innovative design of products and services, we are creating business value in new ways, developing new markets and attracting new customers, all while building advocacy and living our organisational values.